Thin red longitudinal lines on the body of this species allow easy identification. 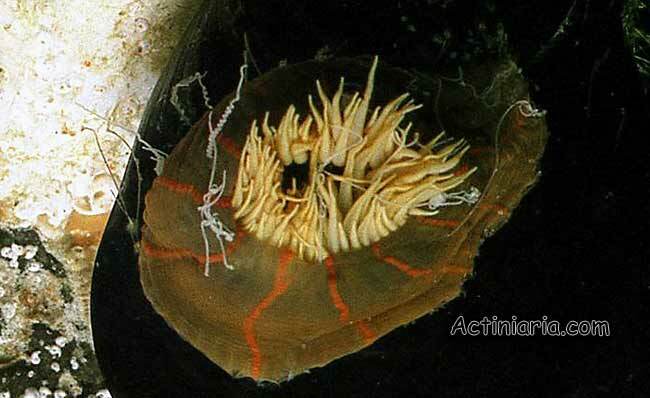 The species widely distributed in European seas and in Asiatic and American Pacific coasts. 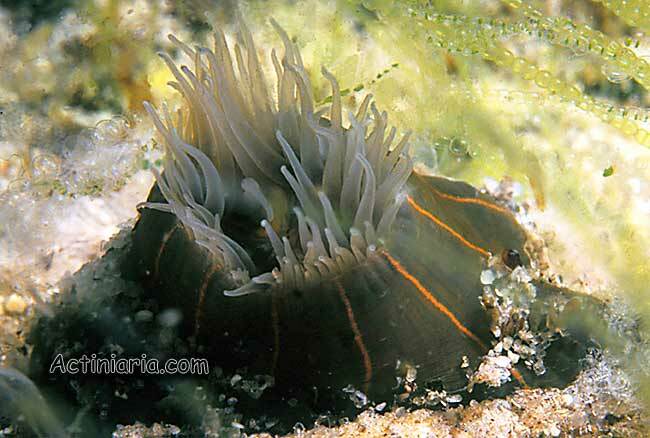 It is often assigned to the genus Haliplanella Hand, 1956, and listed as Haliplanella lineata however, there seems to be no reasons to maintain this genus, and a correct name for this anemone is Diadumene lineata.